Sterling silver handmade wedding ring shaped to fit a large gemstone engagement ring. 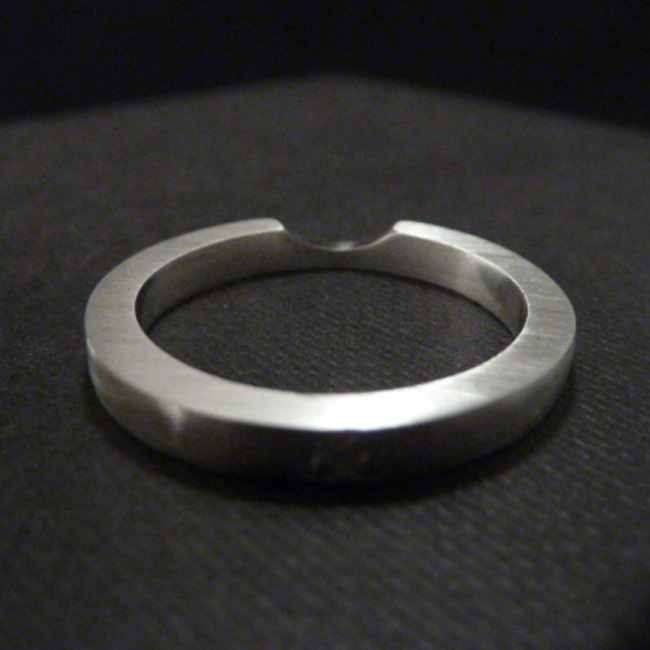 2.5mm square shaped band was used to produce this bespoke wedding ring. SKU: N/A. Availability: In stock Size: N/A Categories: All Jewellery, Rings, Ring, For Woman, Wedding, Wedding Jewellery, Wedding Rings. Tags: bespoke wedding ring, commission wedding ring, handmade wedding ring, LWSilver, shaped wedding band, shaped wedding ring, wedding ring. Materials: 925 sterling silver/Aquamarine faceted gemstone.